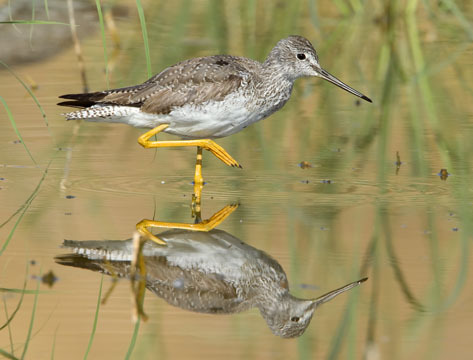 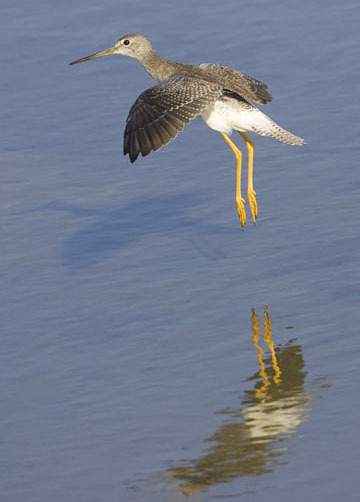 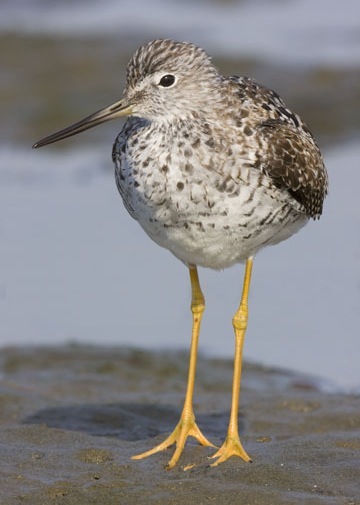 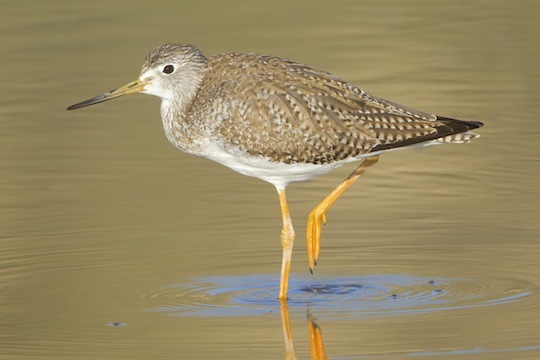 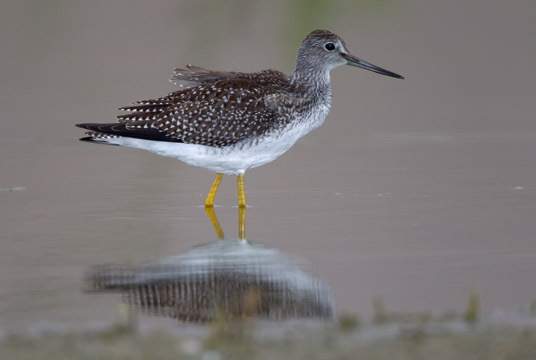 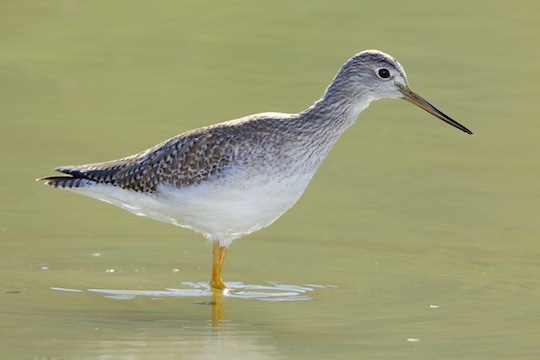 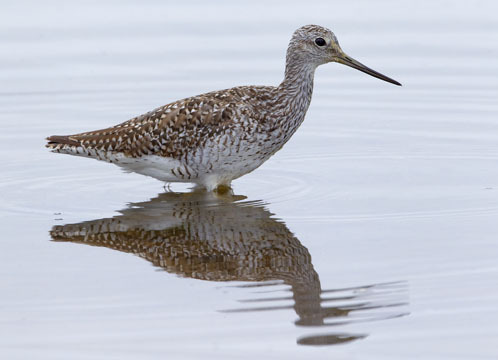 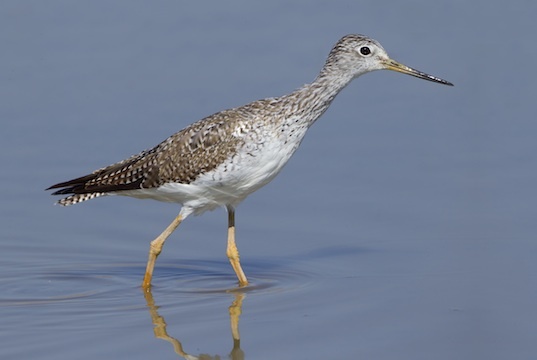 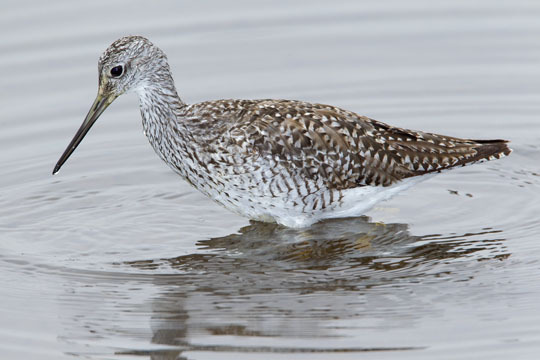 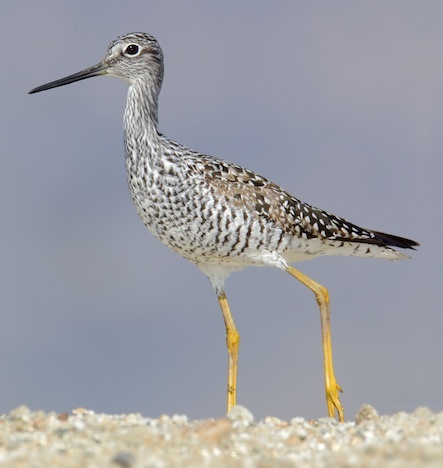 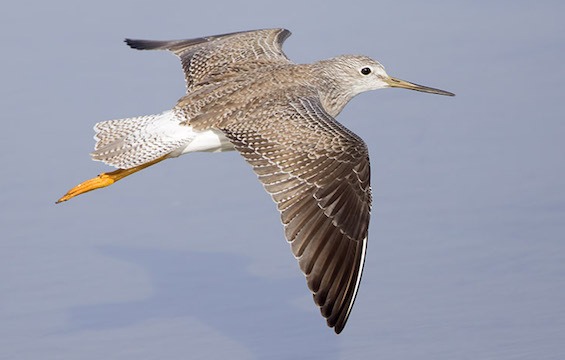 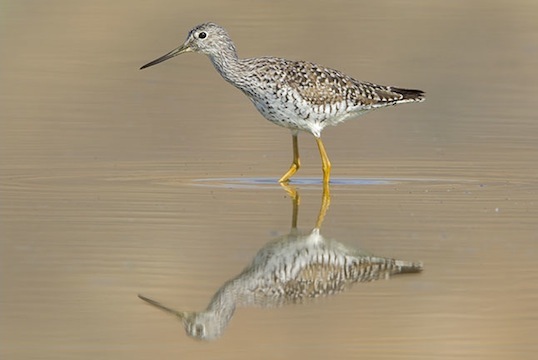 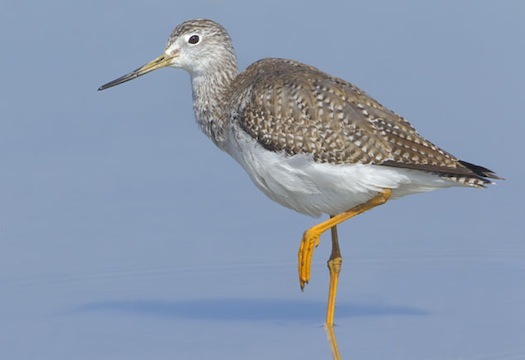 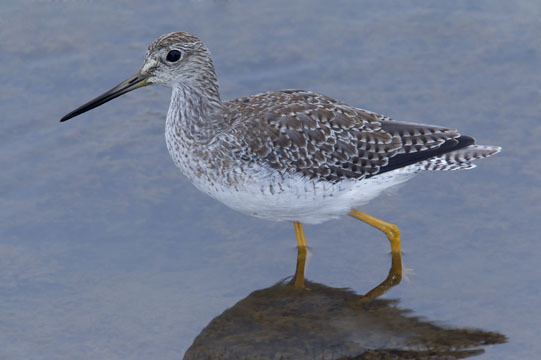 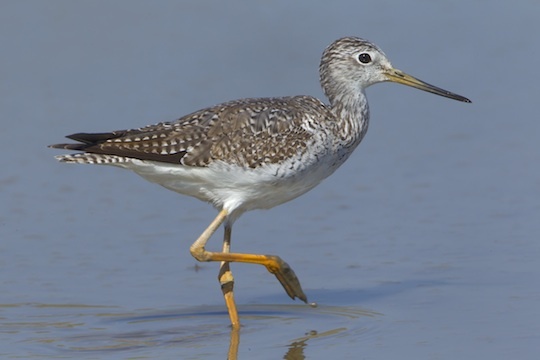 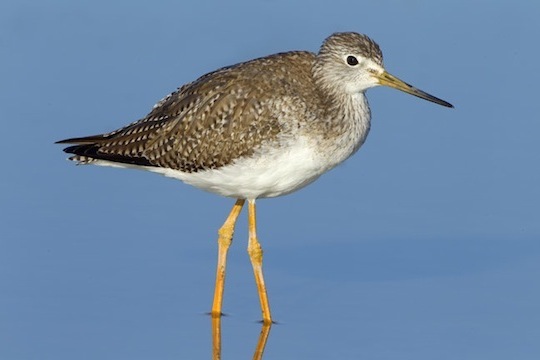 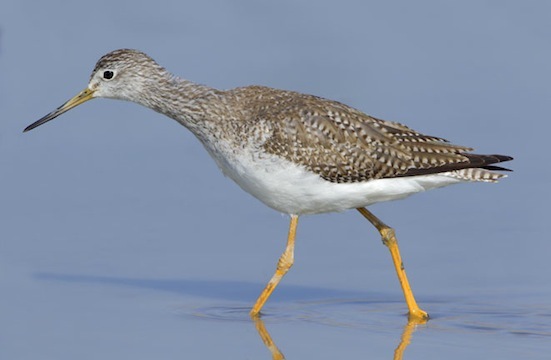 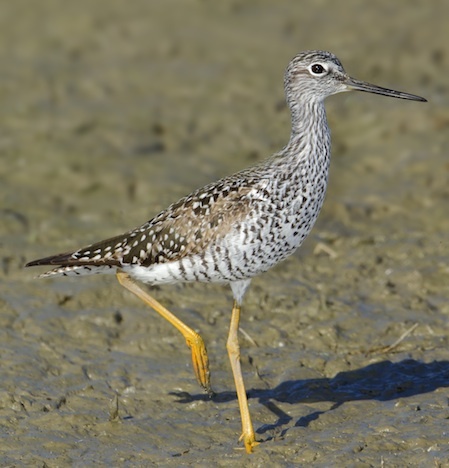 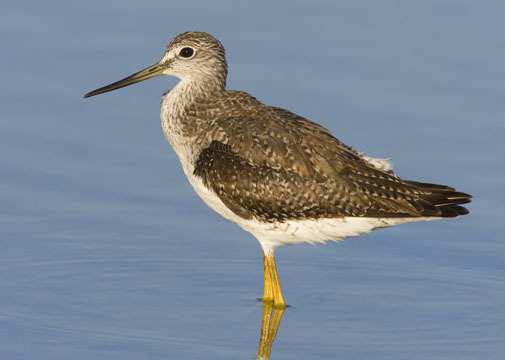 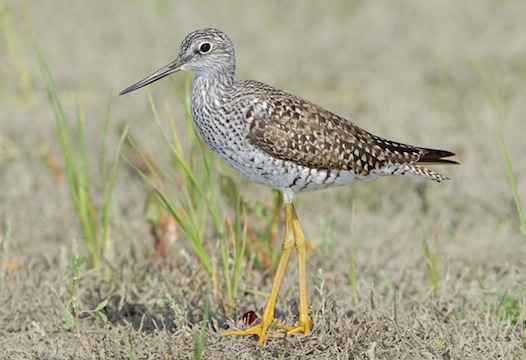 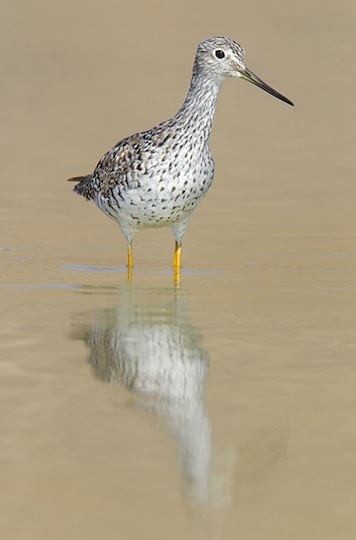 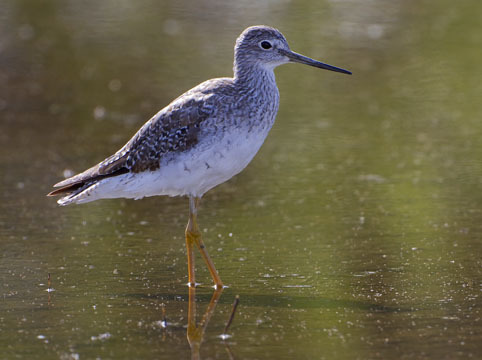 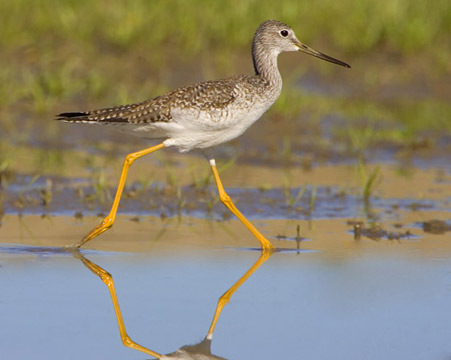 Greater yellowlegs closely resemble their smaller relative, the lesser yellowlegs. 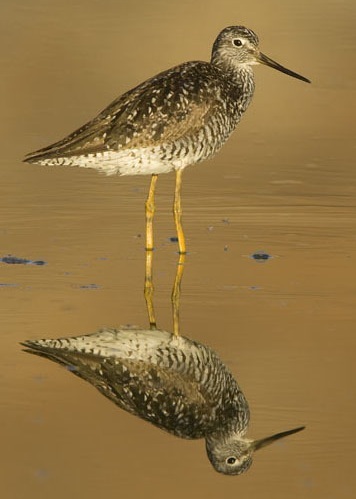 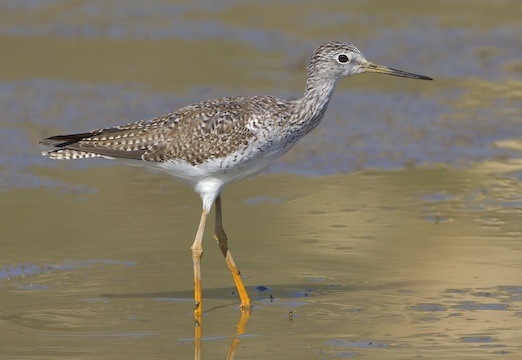 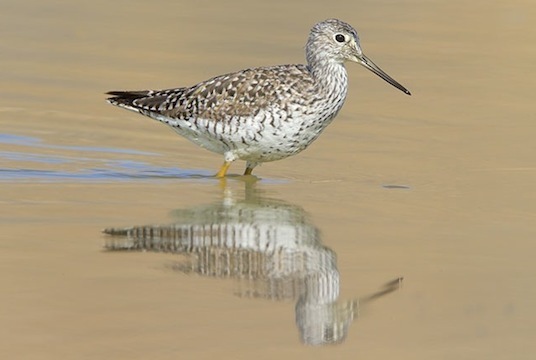 The calls are different, but the best way to recognize them is from bill length: in greater yellowlegs the bill is longer than the head, while in lesser yellowlegs it is about the same length as the head. 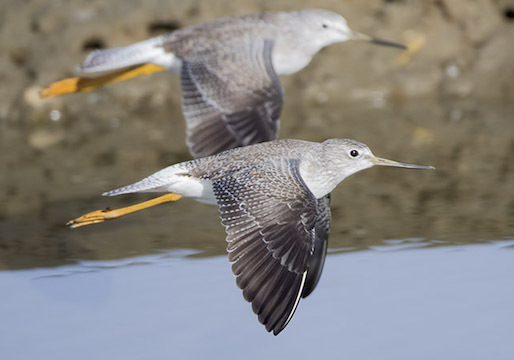 These mainly winter-plumaged birds were wading or running through shallow ponds on calm days at the San Jacinto Wildlife Area, Bolsa Chica wetlands in coastal Orange County, California, in Palo Alto, California, or at Estero Lagoon in Fort Meyers Beach, Florida. 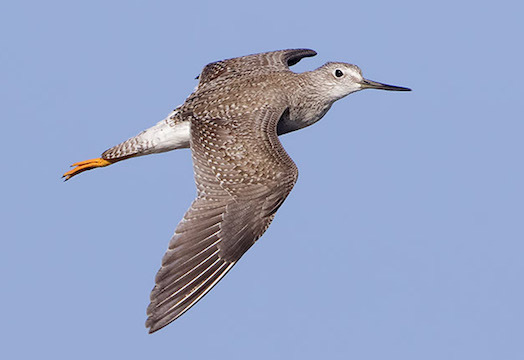 A few birds are in the initial stages of molting from the dark mottled and barred breeding plumage into the more gray-and-white winter plumage, or vice-versa. 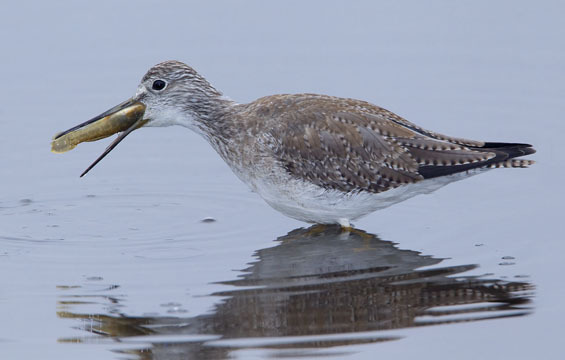 More photos of this species are on this page.